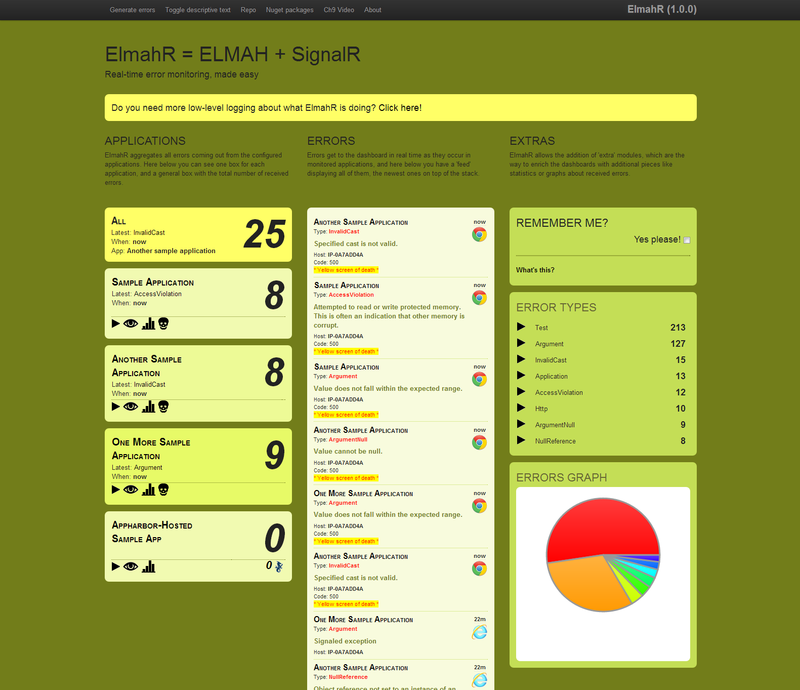 Today a project was featured on hackernews : ElmahR. It combines SignalR and Elmah which I think is pretty cool. I'm not really sure whether this is really usefull in a business environment, but I still think it's a cool initiative. Is THE library we use for error logging on all our .net web MVC applications. Actually, what we do is use NLog for logging and mailing critical bugs, but ELMAH keeps the database of actual exceptions and warnings. 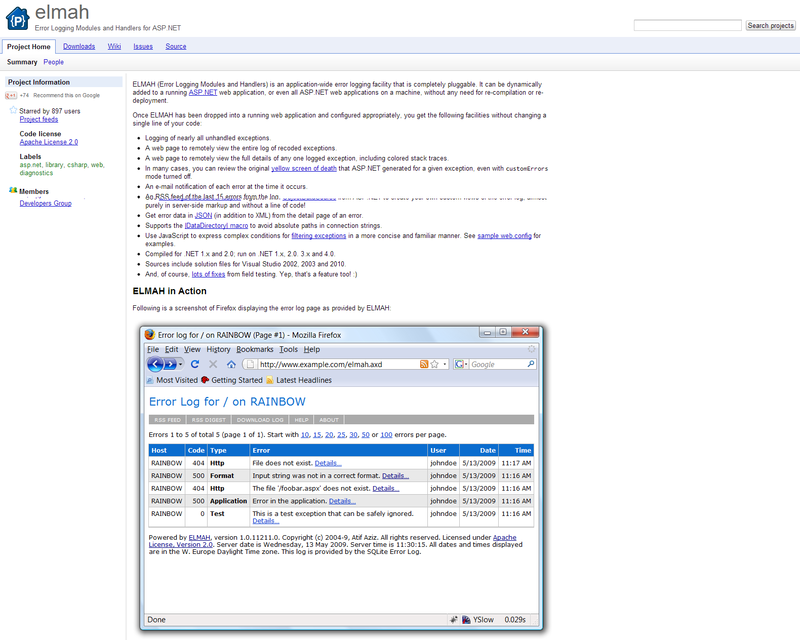 Is a real time library written by some guys at Microsoft that allows your webpage to receive real-time data from the webserver. Typical implementations could be chat applications or live stock data.